Last week at the Sydney Motorcycle Show this stunning Samurai caused quite a commotion when it was unveiled to the public. 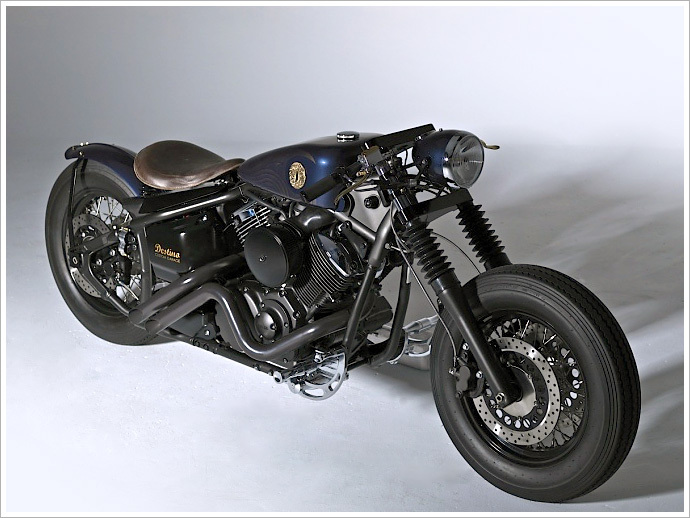 At first glance you might think it’s been built by Zero Engineering; the creators of this Samurai style bobber, but when you take a closer look you’ll see there’s one obvious difference – we’ll get to that in a moment. 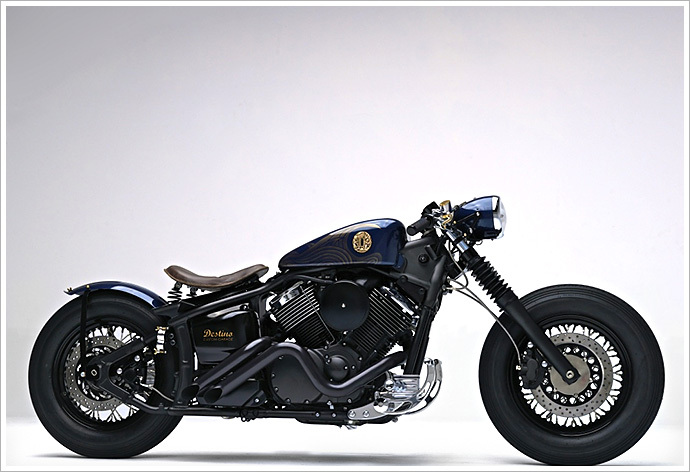 The bike was built by Destino Custom Garage who are a Sydney shop that specialise in custom builds on metric cruisers. Their goal was not to replicate the Zero style Samurai, but to build their own on a completely different platform. The Zero Engineering bikes have always been focused on American engines due to Shinya’s love of the American culture and all things old. “Because we specialise in Japanese motorcycles, we thought that it is only fitting that our Samurai is powered by a Japanese engine” said Jimmi from Destino. Destino tried a number of different configurations for this bike, but in the end they chose the powerful 1100cc V-twin Yamaha engine. “They sound amazing and have plenty of ‘useable’ power” says Jimmi. 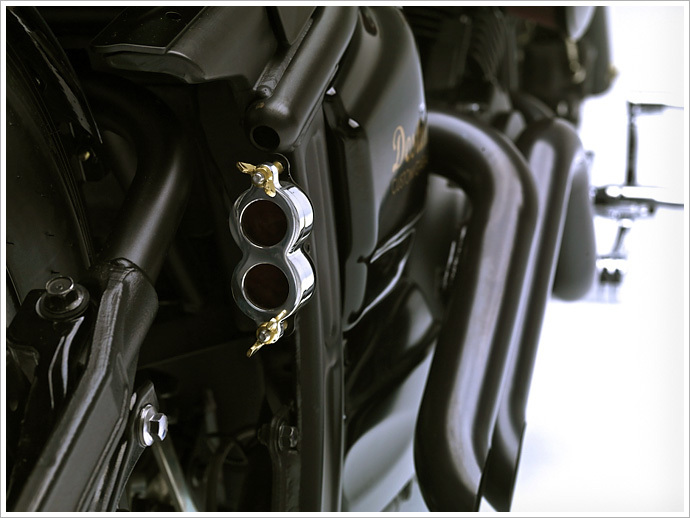 “We think that the V-Twin is perfectly suited to our samurai design. Due to Australian registration laws, we could not do a ground up build, we had to start with a donor bike. 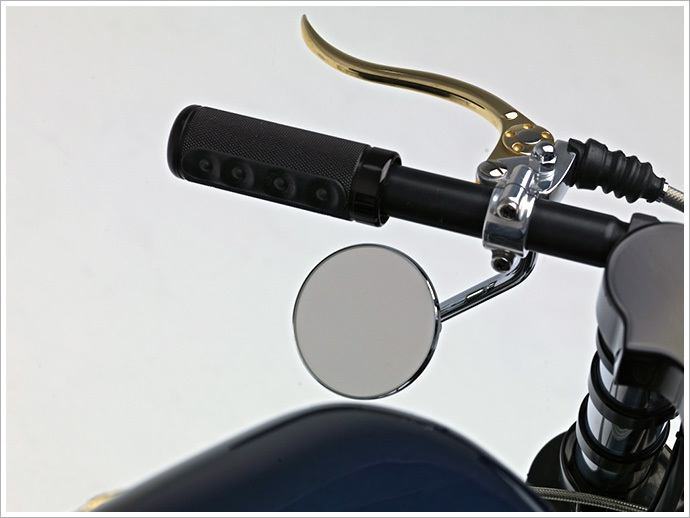 We chose a brand new xvs1100, almost every single component on the bike was changed or modified to acheive our look”. “A true Japanese warrior has a strong & powerful centre of balance” says Nikki from Destino. “Slung low & mean… ready to pounce. We wanted to capture that in the bikes stance.” The front forks have been raked to achieve that look and the riding position is strong yet sleek. The bike might look like a hard tail but there is an internal mono shock suspension for added comfort. 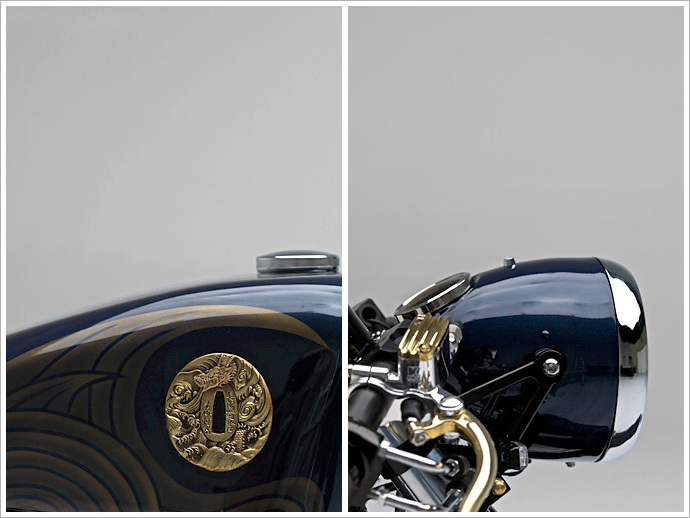 Another interesting feature that is a salute to its Japanese heritage is the fuel tank has been emblazoned with a genuine antique brass Tsuba (samurai sword hilt). 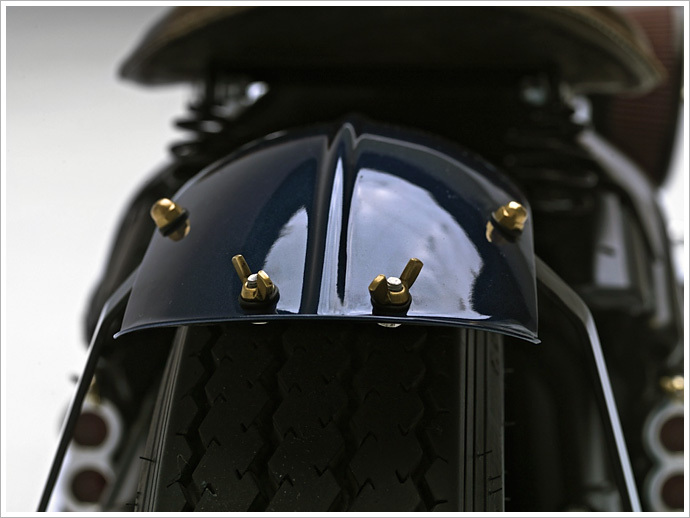 Some other features include twin front discs and custom made pipes that look like they mean business. We’ve been told that Destino are only making 4 of these Samurai bikes each year and will be selling them to clients on an invite only basis. Which means they think you have to be worthy of their bike before you can even get your wallet out. Each motorcycle will be custom built to suit its owners specifications – which will ensure each Samurai is a one off unique piece as it rolls out the garage door. The price we were quoted was around A$35,000 but will vary depending on the components you choose. What do you think, are you worthy of one? To see more of this Samurai, check out the video. Or to express your interest or ask a question hit this.